The band OverTime is born the 15th of November 1988 in one of the many rehearsal rooms of Milano (i.e. one named Diapason), with the only scope of "having fun" (as always said, when beginning an adventure of this kind). After just a few months of rehearsals, on 11 March 1989 the band plays live for the first time at a charity show, sharing the stage with other bands; the result is an encouraging success (significant is the recurring question asked after the show to the four players: "since how many YEARS you're playing together? "), presenting a repertoire that anticipates what the group will do in the following months: tributes to the big names of rock music history, mostly English (Beatles, Who, Small Faces, Spencer Davis Group), plus classics of rock'n'roll, beat, rhythm'n'blues, soul (trying to emulate big names of the better-known black music, from Wilson Pickett to James Brown, from Otis Redding to Sam & Dave), and a selection of hits (also Italian ones, expecially from the best Sixties) taken from the "general catalogue" of secular music, including some concessions to a certain kind of high-level international pop (Ace, Crowded House, Roxy Music). All of this is revised and changed according to the taste of the band's members, that with their arrangements always try to avoid the exact, non-personal copy of the originals, sometimes willing to transform unexpectedly the "borrowed" tracks. The original lineup of the band includes Giorgio Cavezzali on drums, the brothers Giovanni Moretti on guitar and Francesco Moretti on bass (the youngest member of the group), and Claudio Falcone on vocals and keyboards; occasionally the Moretti brothers take care of the backing vocals, and Giovanni will also have some tracks as lead vocalist. The four have in common a non-musical professional experience: they all work in the Information Technology world; but for what concerns the artistical influences, the common points will develop only on the way, because at first the members of the band have different sources of inspiration and musical experiences on their back. The live gigs of the band at the beginning are not very frequent, but always more positive. The repertoire grows and they begin having their first opportunities for concerts outside the province of Milano (we're in 1991), then outside the Lombardia region (1992); despite this, some problems arise within the team, mostly due to the different artistic expectations of the band's members. Around the end of 1992, Claudio Falcone leaves the band because he's unsatisfied with the scarce live activity. The other three OverTimers try to continue with a lineup change: Paolo Pasi (now a television reporter for RAI, the national Italian TV) joins the band as lead singer and guitarist, but the experiment don't go on for much long. This is also true for the "fugue" of Falcone: at the beginning of January 1993, the keyboarder-singer returns in a rehearsal room with the band for a rare five-players session, but shortly after that Paolo Pasi gives up for reasons not related to the band. 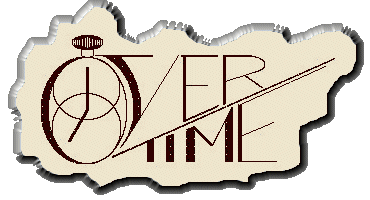 But again, OverTime are not (yet) officially back together, and Falcone is (briefly) involved in a couple of other bands. After a period of sporadic rehearsals (also due to the temporary unavailability of Francesco Moretti, moved near the city of Trento for job needs), the band rediscovers the pleasure of playing and resumes its live activity. After this show, the organizers of the contest give to the band the opportunity fo their first radio interview, recorded by Claudio Falcone and Francesco Moretti at "SuperRadio FM" on 21 March and aired three days later. The semifinal on 9 April 1995 occurs at the glorious "Rolling Stone" of Milano in front of several hundreds of people, but this time some obscure factors will determine the selection of the bands for the final; therefore the hope for playing on an even bigger stage for the final is cancelled by the voting mechanism: despite the organizers count 199 preferences for the OverTime (which didn't have in the crowd such a big number of consenting friends), the band reaches the fifth place out of eight, while the finals are granted only to higher chart positions. After having started playing exclusively covers, in 1995 (which will become the most active year in terms of concerts in the band's history) the band adds also some originals. To be precise, already at their very first live gig the band played a song written and sung by Giovanni Moretti (Strange Kinda Lady, a blues-rock tune which will be played again at some other venues), a song not officially registered for royalties. The first two official originals are composed by Falcone, but only one of the two will become an almost constant presence of the band's live repertoire: the song is entitled Farci Male ("Hurt Each Other"), and it's also an attempt to increment the repertoire sung in Italian compared to the many tracks in English that fill the band's catalogue since their beginnings. At the end of 1995 a part of the repertoire is alternatively offered in unplugged acoustic version. The first unplugged gig is done for the charity event "TeleThon" on 16 December 1995: the band plays in a bank (!!! ), where the fund-raising is done in the middle of artistic shows and events of all kind. A few days before, Giorgio Cavezzali left the band; meanwhile, the bank is forced by the authorities to cancel the "electric" shows they planned to have, due to safety reasons. The OverTime team offer a solution: the OverTime Unplugged Trio (O.U.T.) is born, and it will play more gigs later on (also as a quartet, i.e. O.U.Q.). In 1996, not willing to remain just an (enjoyable and appreciated) acoustic trio, the group is looking a new drummer; the solution is called Jader Laurora, a talented player hidden under a businessman look (and job). The first gig for the new lineup is dated 10 October 1996, after nine months of inactivity, and it's a success. The frequence of live activity during the following years will not increase a lot if compared to the "first edition" times, but the quality will be sensibly better. On 14 November 1998, the O.U.T. (with Jader Laurora voluntarily in the crowd) features the genial guitar player Lorenzo Frizzera (a friend of the Moretti bros.) for a session in the "Bar Commercio" of Brentonico (Trento) to celebrate the 10 years of activity for the OverTime; during that unforgettable night the quartet improvises an exhilarating blues song, lately baptized 100$ Shoes Blues. 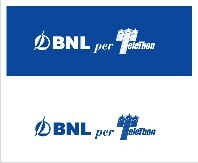 And after just a few days, on 12 December there will be the usual TeleThon (a fixed yearly appointment since the first time), that year scoring two shows in two different banks! Despite the celebration and the 1998 year-end rush, 1999 and 2000 will bring back the old problem: very few gigs. Then, from the end of 2000 to the first half of 2002, OverTime gigs a lot more than ever, the band's quality has reached the maximum level, and all things seems to get better every day. But since the second half of 2002, the group will drastically reduce their live appearances, due to serious extra-musical problems for some of the band's members; the only chance to hear them live remains the TeleThon show in mid-December, as occurred in 2002, 2003 and 2004. At the beginning of 2006 there's the birth of a project with an expanded 6-players lineup: OverBox. The new repertoire takes the main importance against the original one, but still allows OverTime to gig for one summer date; then a long stop in favour of the new project, till the unrepeatable celebration of the twentieth anniversary of the band's birth occurred in November 2008, with several musical guests on stage: Marco Guzzetti, Luca Menichino, Claudio Morsenchio, Vincenzo 'Vins' Caltagirone, Deborah Ardes. The "Crazy CutMix" - a medley assembled from some rehearsal sessions dated 1999-2000.